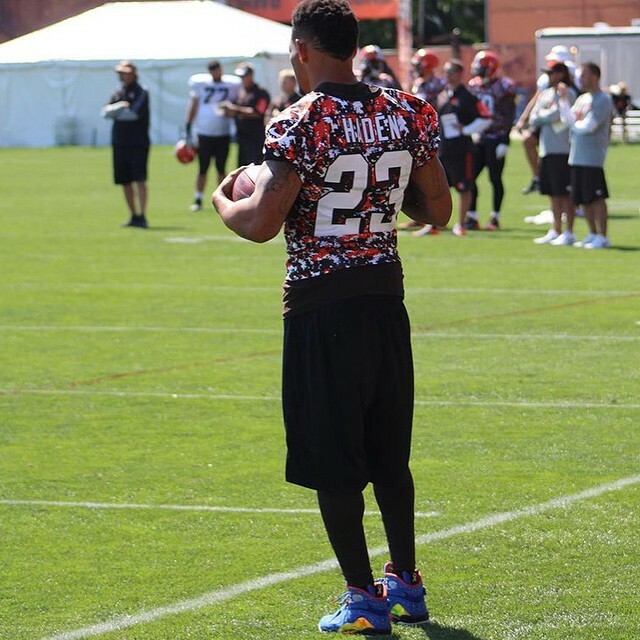 Fresh off signing his deal with the brand, Joe Haden is already stunting in Air Jordans on the field. Earlier today, the All Pro was spotted at Browns training camp wearing the 'Doernbecher' Air Jordan 8. The lack of a helmet and shoulder pads means it was a day off for the veteran corner, so he wasn't actually digging his kicks into the turf. But if he were to, getting a replacement pair is just, as legendary vocalist Jason Weaver once sang, one call away.